Hunter S. Thompson spoke the quote in the subhead about Las Vegas in 1972. 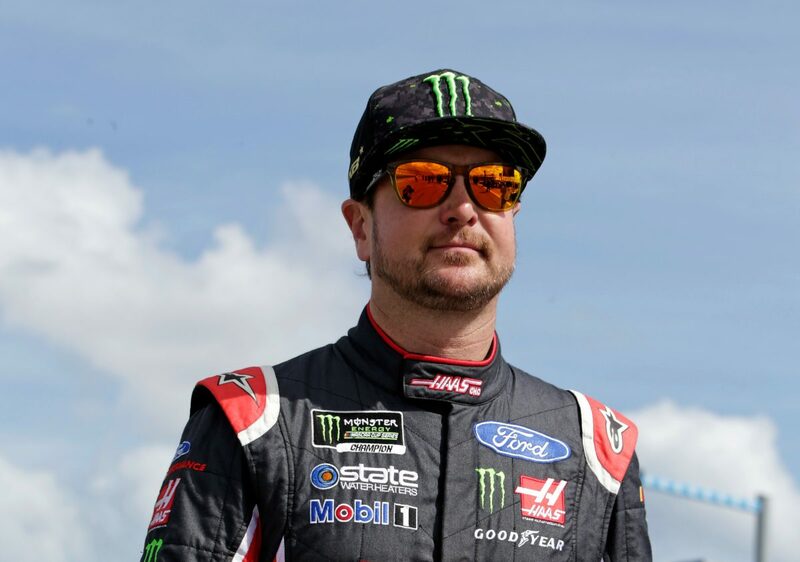 The Monster Energy NASCAR Cup Series has raced at Las Vegas Motor Speedway since 1998 and Kurt Busch has raced in 16 events at the track that he watched being built as a youngster. He’s also seen the city get bigger and bigger and more exciting. Busch grew up in Las Vegas and perhaps no one is more excited that his home racetrack will host a second NASCAR Cup Series race in September. He has won two poles and scored one top-five finish and four top-10s at the 1.5-mile oval. Additionally, the 39-year-old driver has led 85 laps, has an average starting position of 9.4, an average finish of 21.8, and has completed 96.9 percent – 4,185 of 4,293 – of the laps he’s contested there. But he’s never found victory lane at Las Vegas. And it would be a Vegas-style party if he wins it this year. Think of Dale Earnhardt in 1998 winning the Daytona 500 at Daytona (Fla.) International Speedway. Or Busch’s boss, Tony Stewart, when he finally won the Brickyard 400 at the Indianapolis Motor Speedway in 2005. That would be Busch if he could score a victory at Las Vegas. He and the No. 41 Haas Automation Ford Fusion team for Stewart-Haas Racing, got a bit of a head start when they tested at Las Vegas in late January. It was the first time he and new crew chief Billy Scott worked together and they seemed to click right away. In two races in 2018, they’ve led 68 laps, have one top-10 and are a solid eighth in points. And both Busch and Scott would love nothing better than getting a victory at Las Vegas to lock themselves into the playoffs and give Busch a heartfelt, hometown win. How important was the test out in Las Vegas in late January? Does coming to Las Vegas give you a “home-field” advantage, and are you excited about two chances to win at Vegas in 2018? Of those venues that you mentioned, is there an area of the West Coast that you like to visit – have to visit – when you’re out there?